Kim Simmonds, born in Newbridge, Wales, in 1947, is considered a legendary blues guitarist by almost any musical standard. He has even been called one of the founding fathers of British blues by some. Besides his mastery with the guitar, he can hold his own with vocals, piano, harmonica, and even Dobro. The strength of his talent and his willingness to hang tough when weaker men would toss in the towel have carried him through more than three decades in the survive-if-you-can music business. Thanks to an older brother, Simmonds heard plenty of music when he was growing up. He favored everything from the Beatles to James Brown. 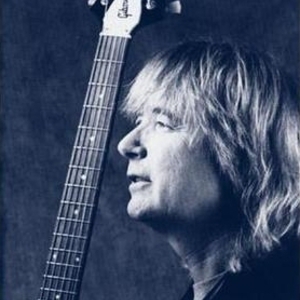 In 1966, when Simmonds was still in his teens, he formed a rock and blues group called Savoy Brown. Other members were bassist Ray Chappell, keyboardist Bob Hall, singer Bruce Portius, drummer Leo Manning, and guitarist Martin Stone. The band got its start performing in small pubs throughout London. In a year's time there was a Savoy Brown debut album, Shake Down. The list of members changed often around Simmonds, but he persisted, and the group released album after album. In 1995 the PolyGram Records label put together a two-piece box set of many of the recordings, titled simply Savoy Brown. Taking a chance at a solo career, Simmonds recorded a debut solo offering, appropriately called Solitaire. It was released in 1997 by Blue Wave Records. Some of the acoustic blues numbers that fans can sample on this release are "I Keep Calling My Baby," "Bad Morning," "Depression Blues," and "Blues Vibration." Blues Like Midnight followed in spring 2001.